From the West to Ohio to Texas, the Department of Justice has dramatically increased its investigations of surgeons, chiropractors, and business owners of rehabilitation centers in the context of workers’ compensation. Over the past 6 to12 months, the U.S. government has begun to aggressively scrutinize the relationship between rehab centers, referring surgeons, marketers, and clinic owners for alleged kickbacks, billing fraud, and submissions of false claims. A recent federal criminal case from the U.S. District Court for the Southern District of Texas in Houston and the indictments in the sting known as “Operation Backlash” against workers’ comp providers in another State illustrate the gravity of the investigations and the need for an immediate compliance check-up. Is My Practice 100% Compliant? Traditionally, federal healthcare fraud investigations have focused on Medicare and Medicaid, the two largest federally funded healthcare benefit programs. Hardly a day goes by without newspapers reporting about another Medicare fraud crackdown somewhere in the United States. While enforcement activity against Medicare and Medicaid providers remain high, the government has recently extended its focus on other federally funded programs. In 2015 and 2016, investigations of Tricare compound pharmacies made headlines, and many providers and business owners suddenly found themselves facing charges for their participation in telemedicine, compound pharmacy referrals, and accepting kickbacks related to such schemes. While the Department of Justice continues these Tricare prosecutions, healthcare fraud defense attorneys on the forefront of healthcare enforcement trends see a new target group for federal prosecutors: workers’ compensation and Department of Labor (DOL) providers. Perhaps less noticeable than the more publicized and nationally coordinated Medicare fraud raids, local U.S. Attorney’s Offices, with the help of the U.S. Postal Inspection Service, the F.B.I., the Department of Health and Human Services, and the Office of Inspector General, have obtained arrests and convictions against workers’ compensation and DOL providers in courts across the United States. For those providers and executives in these fields, it is time to be on alert and to ask yourself: is my practice 100% compliant? Just like you send your car for routine inspections, you should have someone occasionally check on your medical practice. Ask yourself these questions: Are all my contracts in accordance with state and federal laws? Do I have verbal or written agreements? Were those agreements professionally set up? Can anyone ever say that I received anything of value, directly or indirectly, for a referral I made or received? Do I know for certain that everyone in my office understands and follows all rules and regulations? Is all my clinic staff current with its regulatory compliance training? When was the last time someone affirmed that my practice is 100% legal and free of any concerns? What is my exposure if I did not follow all of the rules all of the time? Most workers’ comp investigations allege a kickback scheme between surgeons, chiropractors, or marketers, and clinic owners or hospitals. The federal Anti-Kickback Statute (AKS) is a criminal statute that prohibits any form of remuneration intended to influence (i) the referral of an individual for an item or service for which payment may be made by a federal health care program or (ii) the purchase, lease, order, or arrangement for or recommendation to purchase, lease, or order any good, facility, service, or item for which payment may be made by a federal health care program. See 42 U.S.C. § 1320a-7b(b). The AKS is intent-based. That means that for a criminal conviction, the government must prove beyond a reasonable doubt that referrals were intended to violate the law. Federal case law has established that the AKS is violated when just “one purpose” of the arrangement is to induce referrals for services or purchasing of items payable by a federal health care program. See, e.g., United States v. Greber, 760 F.2d 68, 72 (3d Cir. 1985), cert. denied, 474 U.S. 988 (1985). If an arrangement has multiple purposes and one of them is unlawful, the AKS applies. It is the job of healthcare fraud defense attorneys to establish that referrals were made simply because they were medically necessary, without any party involved intending to violate the law. One way to do so is to demonstrate the implication of an exception to the AKS, sometimes referred to as “safe harbors.” In particular in the context of directorship, consulting, and marketing, the law recognizes numerous safe harbors that experienced attorneys can present as valid defenses to AKS charges. No clinic can exist without patients. But: where should the patients come from? Is it legal to use patient recruiters? Is it legal to give patients “incentives” to attend a rehab program? The short and clear answer is: no, it is not legal to pay someone to market to patients directly. A number of pending workers’ comp fraud cases are united by the allegations that injured workers were directly contacted to attend physical rehabilitation programs and, in some cases, even incentivized to attend ongoing treatment. Vouchers, gift cards, or cash payments are all inappropriate means to “persuade” a worker to become or stay a patient. Because of the nature of, for example, work conditioning, work hardening or chronic pain management programs, it is not always easy to draw the line between illegal patient bribery and socially and legally acceptable and customary gifts. Clearly, basketball tickets, Wal-Mart vouchers, or cash payments violate the terms and conditions and thereby the laws applicable to program beneficiaries. Whether occasional gas money to a patient that lives far away and depends on this one in-network workers’ comp doctor in a radius of 50 miles falls in the prohibited category may be questionable; nonetheless, it is not recommended to test the boundaries of patient bribery or patient marketing; routine patterns are more concerning than isolated incidences based on actual hardships. Paying a commission to a marketer for recruiting federal patients or for bringing in federally funded program patients or services is illegal. The U.S. Attorney’s Office has significantly increased the number of prosecutions against individuals that were paid a percentage of reimbursements for bringing in Department of Labor, Medicare, Medicaid, or Tricare patients or services. Specifically, arrangements such as “Marketer shall receive 45% of all gross revenue of business brought to Company” are against the law if they include federally funded business. Without a doubt, marketing arrangements, regardless of whether they involve commercial or federal business, need to be carefully structured. While commission payments on federal business are clearly unlawful, percentage-based payments on non-federal business should be avoided as well. Specific to the workers’ comp arena are attempts to recruit business through union membership relationships. Utmost caution is in order. Active claims adjusters, supervisors, or other workers’ comp representatives are government employees and any business relationship can quickly be construed as bribery. What restrictions exist under the Federal Employees Compensation Act (FECA) with respect to chiropractors and aides? Are chiropractors allowed to provide physical therapy to Department of Labor patients? Who qualifies as an unlicensed aide under FECA? What supervision requirements are mandatory when treating Office of Worker’s Compensation Program patients? A recent federal criminal trial against owners and medical providers of workers’ compensation rehabilitation centers in Houston, Texas offered important guidelines. Chiropractors. Two misbeliefs characterize the legality of providing chiropractic services to federal patients. First, the treatment of federal patients, such as federal workers’ compensation patients, is governed by federal rules, not by chiropractic state regulations. Second, chiropractors are generally not allowed to provide care to federal patients on their own. Pursuant to 20 CFR 10.311(d), “[a] chiropractor may also provide services in the nature of physical therapy under the direction of, and as prescribed by, a qualified physician. Further, according to 20 CFR 10.311(a), “[t]he services of chiropractors that may be reimbursed are limited by the FECA to treatment to correct a spinal subluxation.” The spinal subluxation must be “demonstrated by x-ray to exist” and evidenced in the medical report. 20 CFR 10.311(b), (c). In the Houston trial, the U.S. government was able to convince the jury that billing for chiropractic services outside these two narrow exceptions deviates from federal regulations rendering each submitted claim false and fraudulent.PT Aides. Many rehabilitation clinics use so-called unlicensed aides to provide care to workers’ compensation patients. Such practice is risky and subject to scrutiny when it comes to DOL patients. According to 20 CFR 10.801(d), “[b]y submitting a bill and/or accepting payment, the provider signifies that the service for which reimbursement is sought was performed as described, necessary, appropriate and properly billed in accordance with industry standards…[A]ccepted industry standards preclude … charging for the services of a professional when a paraprofessional or aide performed the service.” Each clinic, in particular those offering all day rehab services such as work conditioning, work hardening or chronic pain management programs, should carefully assess whether unlicensed aides such as techs, massage therapists, or office staff are ever in charge of monitoring or treating patients without appropriate supervision. Reduced reimbursement rates have prompted many workers’ comp providers to capture ancillary service income. Business relationships between medical providers and ancillary services providers (toxicology laboratories, pharmacies, compound pharmacies, DNA laboratories, DME companies, rehab facilities, etc.) have sparked enormous government attention. Because many of these relationships involve investment interests and ownership status of referring physicians, it is important to keep the details of the Ethics in Patient Referrals Act (Stark Law) in mind. Under the Stark Law, physicians are prohibited from referring so-called designated health services (DHS) to entities with which they have a financial relationship, subject to certain exceptions. See 42 U.S.C. § 1395nn(a)(1). DHS include, among others, inpatient and outpatient hospital services, laboratory referrals, and DME providers. See 42 U.S.C. § 1395nn(h). Similar to the Anti-Kickback Statute discussed above, the Stark Law, too, recognizes certain exceptions. These exceptions are among the most difficult areas of healthcare law and the question whether or not Stark Law even applies to an arrangement by itself is often subject to intense analysis. Because Stark Law (unlike the AKS) does not consider the intent of the parties, it is very important to make sure that the referral arrangement—on its face—meets all legal requirements. Early Intervention. The less time the government has to build a case, the stronger your chances are to impact the outcome. A compelling presentation by experienced healthcare fraud defense attorneys at the early stages of a case can often impact the way the government looks at a potential target. Put differently, in our experience, merely passively waiting and hoping everything will go away by itself is rarely a promising strategy. We pursue a proactive, leading, and controlling approach. We intervene quickly, and we don’t give the government the time to build its case against our clients. In healthcare investigations, every minute counts. Every day of uninterrupted government investigations will foster the government’s belief that you in fact did something wrong. Besides the chance of influencing the government’s perception of you, early intervention by experienced healthcare fraud defense attorneys also brings the advantage of getting answers to important questions right at the beginning of the case. For example: What is the goal of this investigation? Who are the targets? Is the case civil or criminal? What is your potential exposure? What can be done to resolve the issue? Depth of Understanding. Asking relevant questions, negotiating a favorable resolution, and persuading jurors in a federal healthcare fraud trial requires a profound understanding of the applicable healthcare laws and their exceptions and defenses. Our attorneys offer decades of government and private practice experience in the areas of civil and criminal healthcare investigations. Hundreds and hundreds of healthcare fraud cases have taught us how the government evaluates a case and which arguments ultimately prevail in negotiations or at trial. After all, two skill sets are essential. The first is an understanding of all aspects of healthcare law. You must be represented by a lawyer that understands your industry, knows the terminology, and that does not need time to research the law or its exceptions. Put simply, when a business or a provider is under attack, there simply is no time to experiment. Two, renowned negotiation and presentation skills are needed to persuade the government or judges and juries. Effective advocacy is more than just being a criminal defense lawyer. In the context of complex healthcare fraud cases, the combination of trial expertise and controlling knowledge of healthcare regulations is what wins a case. No Criminal Charges. Our number one priority in any representation is to avoid criminal charges against our clients. There are several ways to do that. One approach is to convincingly demonstrate that not all elements of a healthcare fraud statute can be proven. In practice, that missing element is often a lack of intent. Few people sit in a meeting and discuss how they can defraud the government. Instead, when and if mistakes happen, they happen due to neglect, a lack of organization, lack of supervision, or because others created a mess with far-reaching impacts and consequences. Government prosecutors must hear defenses and a client’s side of the story as early as possible to avoid a manifestation of wrong beliefs and assumptions. After all, the burden of proof is on the government, and no prosecutor wants to take a weak case to court when that prosecutor can focus his or her attention on “easy” cases with overwhelming evidence. At Oberheiden, P.C., we understand the difference between innocent mistakes and willful participation in a fraud scheme. Our renowned attorneys have the experience and the skills to protect physicians and business owners in healthcare cases. We know how to make a presentation to the government and how to persuade judges and jurors of our clients’ innocence. Whatever your situation is, we are available to help you. Just call us today and speak with one of our former healthcare law prosecutors and experienced healthcare law defense counsel. Because we know that questions sometimes come up after hours or on weekends, feel free to call our attorneys any day of the week. Up to a 10-year prison term for each count of healthcare fraud. Up to a 20-year prison term for each count of healthcare fraud resulting in serious bodily injury to a patient. Up to life in prison for each count of healthcare fraud resulting in the death of a patient. If your clinic is under investigation for workers comp fraud fraud, you want attorneys with a reputation and track record that you can rely on. With your livelihood and your freedom on the line, you need attorneys in your corner who are recognized and respected, experienced and feared, relentless and effective. Oberheiden, P.C. has substantial experience in healthcare defense cases, and our attorneys are available – including on weekends – to speak with you about your situation. All consultations are free and confidential. Call us today. What sounds simple and natural now has a new meaning: follow the rules. Recent workers’ compensation investigations have revealed that the government is increasingly using undercover agents to identify workers’ comp fraud. Agents appear as “patients” to test the physician’s prescription policies or attend workers’ comp treatment programs to film and capture lack of appropriate supervision or to interview other patients about their experience with the clinic and its staff. In one recent case, for example, two federal agents pretended to be injured mail carriers to document their treatment by chiropractors and unlicensed aides. Other cases have included agents testifying in court about a lack of attention, organization, and medical treatment when attending workers’ compensation pain programs. Practitioners and business owners in the healthcare industry sometimes underestimate the gravity of a healthcare fraud investigation and delay proactive measures to protect their interests. However, the sooner targets of an investigation hire a defense attorney, the more likely they are to avoid charges. An experienced defense attorney can help identify and fix errors before anyone else would ever discover them. We recommend that a law firm conduct an internal audit to identify potential problems in the areas of regulatory compliance, marketing, billing, claims submissions, and medical supervision. This review includes a look at current billing practices. 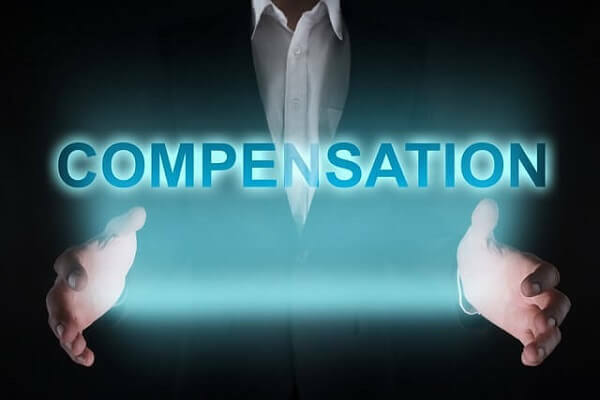 Regardless of whether billing functions are performed in-house or externally, the U.S. government has launched a massive campaign to scrutinize healthcare billing records of workers’ compensation providers. Each wrongfully billed claim presents a potential False Claims Act violation and may trigger severe penalties. It is of critical importance to maintain a written canon of acceptable billing policies at all times. Have you thought of a compliance program? When was the last time your clinic went through a voluntary regulatory audit and review process? Our attorneys utilize our extensive background in healthcare law to analyze the problem areas that caused our clients to attract the attention of investigators. Because the audit is done and supervised by attorneys, all findings are privileged and confidential. The number one advantage of a compliance program is to demonstrate a lack of criminal intent. More so, a well-organized compliance program can indemnify clinic owners from staff members’ mistakes. Evidence of compliance training, a written code of ethics, an employee manual, and similar documents will make show that any errors were unintentional. If your workers’ compensation practice is under audit or if you just feel it’s time for a professional check-up, you should contact lawyers that understand your industry and that can provide you reliable advice. Don’t wait until you are at risk of suffering severe financial fines, program exclusion, or even criminal penalties. Act today to get the situation under control. Call former federal healthcare fraud prosecutors to get their opinion — your call is both free and confidential. The attorneys of Oberheiden, P.C. offer reliable advice and effective defense strategies to clients in the workers’ comp industry to pass audits and to stop investigations. Below is a small selection of representations in which our workers comp fraud attorneys obtained favorable outcomes for medical providers, healthcare companies, healthcare executives, and marketers in healthcare fraud investigations. Successful Defense of a Healthcare Business against an Investigation by the Department of Justice and the U.S. Attorney’s Office for Alleged Healthcare Fraud. Result: No Civil or Criminal Liability. Successful Defense of a Healthcare Business against an Investigation by the Department of Health and Human Services for Alleged Healthcare Fraud. Successful Defense of a Healthcare Business against an Investigation by the Office of Inspector General and the FBI for Alleged Healthcare Fraud. Successful Defense of Marketing Company against an Investigation by the Office of Inspector General and the U.S. Attorney’s Office for Alleged Healthcare Fraud. Successful Defense of Physician Syndication against an Investigation by the Office of Inspector General and the FBI for Alleged Healthcare Fraud. Successful Defense of a Toxicology Laboratory against an Investigation by the Office of Inspector General for Alleged Healthcare Fraud. Successful Defense of a Toxicology Laboratory against an Investigation by the Office of Inspector General and the FBI for Alleged Healthcare Fraud. Successful Defense of a Physician against an Investigation by the Office of Inspector General for Alleged Healthcare Fraud. If your clinic is under investigation or if the government contacted you regarding a healthcare fraud investigation (e.g. through a subpoena or with an interview request), you should promptly discuss your questions with experienced attorneys that can appropriately assess the situation and provide you reliable advice. Because healthcare fraud investigations are very specific and small details can make the difference in both liability and exposure, it is very important to seek counsel that have demonstrated knowledge of the rules that will determine the outcome of your case. The attorneys of Oberheiden, P.C. include former Assistant U.S. Attorneys and experienced defense attorneys that offer their experience for a free and confidential consultation, including on weekends. If you have reason to believe you are under investigation, you should contact Oberheiden, P.C. today for a free and confidential consultation. Our attorneys are standing by seven days a week – including weekends – to answer your questions or discuss how we may be able to help you in our case. When you hire us, you will not work with paralegals or junior lawyers. Each lawyer in our Health Care Practice Group has handled at least one hundred (100) matters in the health care industry. So, when you call, you can expect a lawyer that immediately connects with your concerns and who brings in a wealth of experience and competence.